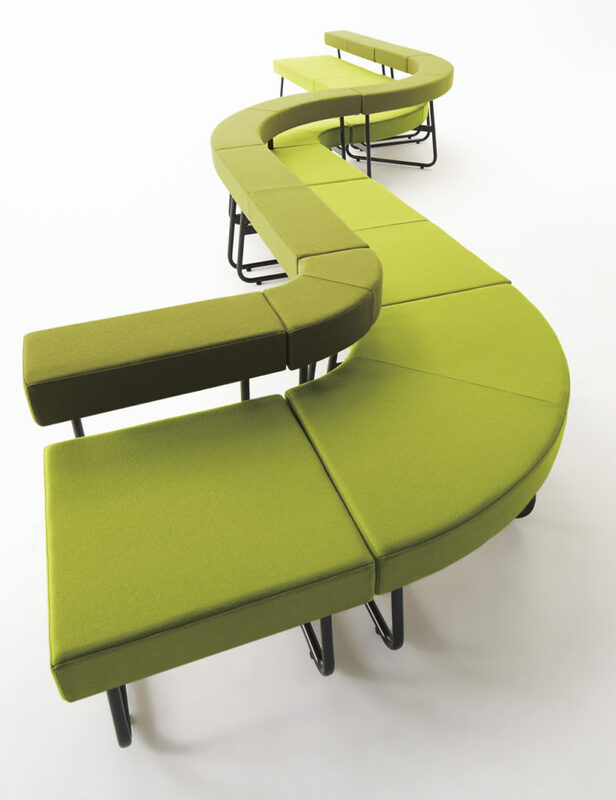 Modular system of upholstered seatings, perfect to create linear or curved compositions. The seats take place on a tubular metal structure that gives a dynamic aesthetic to the whole combination. Ideal for contract spaces.